Damen Shipyards Galati has handed over the second platform supply vessel in a series order heralding a new era in offshore construction for Damen Shipyards Group. 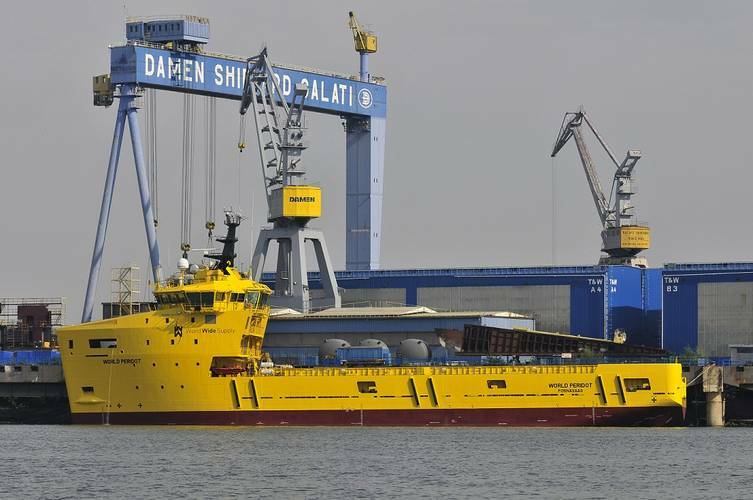 World Peridot, built to Damen’s PSV 3300 design, has been delivered to World Wide Supply. 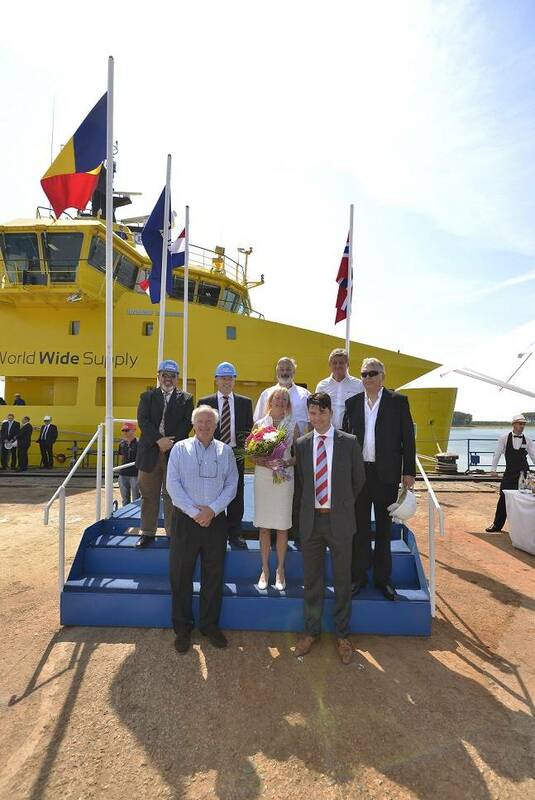 Delivery comes just seven weeks after the handover of the first of class PSV 3300, World Diamond, and is part of a rolling six-ship handover schedule from Damen for WWS. The PSV was delivered on schedule and would join sistership World Diamond on the North Sea spot charter market. The remaining ships in the series have already secured long term charters offshore Brazil. The PSV 3300 features a radical design rethink, with a wave piercing bow, slender hull lines and diesel electric propulsion with azimuth stern drives combining to optimize seakeeping and fuel efficiency. The 80.1m length, 1,500-metric-ton deck capacity vessel features DP2 capability, and has been designed to Damen’s E3 principles - environmentally friendly, efficient in operation and economically viable. It is one of five PSV types available from Damen ranging from 1,500 dwt to 6,500 dwt. The group’s expanding offshore portfolio includes completely new designs for fast crew suppliers, anchor handling tug suppliers, a heavy lift vessel, a ro-ro deep dredge vessel and the new Damen Offshore Carrier 7500.